It was January 3, 2017. Four young adults had kidnapped a man and had him trapped inside a house in a suburban Chicago neighborhood. And that’s when the world came across the gruesome, despicable series of acts took place on Facebook Live. Brittany Herring streamed a video live on Facebook while she and three other friends taunted and abused a man with special needs. People witnessed a series of heinous, disgusting acts caught on camera. They kicked him, cut his scalp, and even forced him to drink toilet water! The police quickly found out what happened, tracked where the incident took place, and arrested the four criminals. This Facebook live stream in particular raised new questions about the use of social media platforms in the United States, some of which are relevant to the rest of the world. Specifically, there is now a discussion about how spreading videos that glorify abuse and humiliation could encourage a culture of violence and fear. Should Facebook (and other social media platforms) do more to police and prevent this kind of content being posted by users? How can we make sure kids don’t watch this type of content on social media? It is really easy to point fingers at social media for cases like these and say they should take responsibility for this type of content, especially since it might not be age appropriate for young teenagers. Adults might say, “Companies like Facebook should do a better job of making sure these videos don’t spread out,” “Facebook needs to prevent this type of content being posted by users,” etc. The major social media networks already have contributor guidelines. Indeed, we do. All we need to do is pull out our smartphones and we can practically do anything we want online or on our apps. In addition, every smartphone comes with a built-in camera. So it is also true that we carry around our own personal security cameras. Think about it. Whether someone is committing an online crime or secretly dancing around in their room, we now live in a world where anyone can be recorded at any time. Even criminals are willing to post Facebook Live videos of themselves committing crimes. What This Means for People Working in Law Enforcement? Right now, we spend so much time on social media that we see people recording Facebook live videos of criminals committing crimes. We even see videos of criminals themselves recording their own criminal acts. So, what exactly are the implications of this when it comes to seeking justice? In the Western World (places like the U.S., the UK, and Australia), society is interested in what they call retributive justice, which is a reactionary act of ‘righteousness’ where someone displays someone’s criminal or outrageous act online. What separates the Western World from the GCC is that Western cultures allow (some might even say encourage) people to be advocates for justice by making the public aware. In other words, they want people to use outlets like Facebook Live to capture videos of people committing crimes in the name of collecting conclusive evidence; the media and representatives of gossip news sites use these methods often. In many Middle Eastern countries, the due process is different. Rather than publicly recording something using Facebook Live, the law requires you to report crimes directly and exclusively to the police without the publicity; this is to prevent any act of slander by their citizens. Once the authorities come to a decision, only they will release information about the series of the events and/or anything meaningful for public awareness. Facebook makes some effort to police these videos. 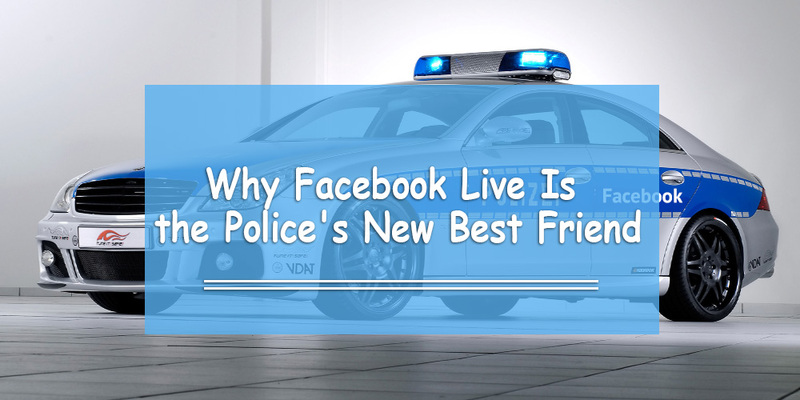 In fact, they were with local authorities and users from all over the world to make sure that Facebook Live videos don’t break any of their community standards. But how can they do more? After all, not every post on a social media newsfeed is 100% age appropriate. Maybe there will be some sort of intelligent software that screens and pulls out any videos that are graphic or inappropriate for people to see, based on Islamic/Arab law. But it doesn’t. The one thing we can say (until there is a better solution for how content should be uploaded) is that Facebook Live is a tool. Police forces from all over the world use Facebook Live (and the Facebook platform in general) as a way to prosecute criminals. It is actually one of the first places detectives search for evidence. Based on the content of a criminal’s social media posts – like online extremism, for example – they can find out the person’s motive, the geolocation of where they recorded the Facebook Live video. Overall, government officials and members of the police force that it is a lot easier to track and collect information and it is also a lot easier for people communicate with them if a crime occurs or if they suspect something might happen. Let’s go back to the case in Chicago in the beginning of this article. Report it directly to the police by contacting your country’s emergency line. Prevent any danger or criminal acts from happening by the person you’re accusing and keeping your community safe. Prevent the post from spreading to other people and make Facebook aware that something is happening on their platform. Without Facebook Live, there might never have been a criminal case to begin with. Even if the victim had reported something to the police, if he was the sole eyewitness to the event, a defense attorney could’ve made a case for his defendants. However, because there was clear evidence that the four criminals abused this man, the case was much quicker and even the best lawyer could not defend something that was caught on camera. The Facebook community needs to protect one another if they see something wrong on the platform. Whether it is a Facebook live video, or a post saying something will happen, that is documentable evidence that should always be taken to the police. The authorities are already grateful for the good digital citizens who report crimes when they see it based on their country’s laws. Those who take action on both Facebook and in the real world make a difference in seeking justice and making their communities safe. Report something if and when you see it. Don’t let anything hold you back.